I am always thanked for this reminder! Make donations to Signs for Hope securely online, just click “DONATE”. 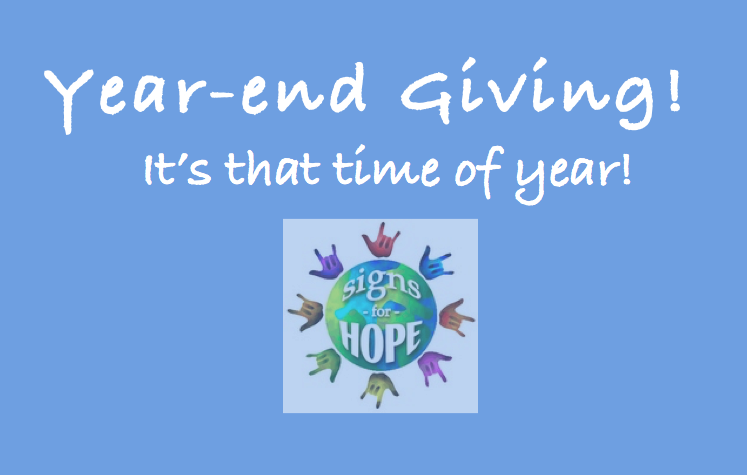 As long as donations are mailed in 2015 they will count in 2015. Donations made by credit card in 2015 will count in 2015 even if they are not paid until 2016. We are an all-volunteer organization and your funds will directly benefit deaf children here and around the world. « When Love Is NOT Enough!